Texas FHA Home Loan Criteria: The Texas housing market is going strong with increased buying activity. More first time home buyers in Dallas, Houston, Austin, San Antonio, are now entering the market and looking for mortgage options that offer flexibility and manageable terms. The Federal Housing Administration is a mortgage insurer that help first time buyers get great mortgage with a low down payment. In fact approved home buyers in Texas can purchase a home with as little as 3.5% down payment. FHA mortgages are loans that are insured by the FHA to provide protection to the borrower in case he or she defaults. Individuals can acquire these loans from the FHA-approved lenders with flexible terms on down payment and secure fixed interest rate. 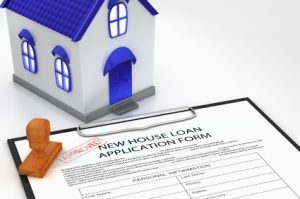 However, since the market crash of 2007, the FHA has made a few adjustments to its policies that determine whether or not you qualify for FHA-insured loans. Your credit score and history plays a crucial role in determining your eligibility of an FHA-insured loan. Your current credit report and history will allow the lender to have a better understanding of your financial situation. Hence, it goes without saying that a credit history with many late payments, poor financial decisions, and delinquency will limit the mortgage options that you will be able to acquire. FHA-insured loans with nearly 3.5% down payment are available to applicants with a credit score of 620 or above. That said; individuals with lower credit score may still become eligible for FHA home loans but should plan on at least 5%-10% down payment amount. Generally two lines of your credit history are enough to determine your eligibility for FHA loans. Individuals with no credit history or insufficient credit report may apply using substitute and relevant reports. If you have been through bankruptcy, some banks and lenders may still approve you for home loans. In the case of Chapter 13 Bankruptcy, the individual has to show that they have made timely payments for at least the past 12 months. If approved, the applicant should get a written approval from the court trustee and must provide a complete explanation of their bankruptcy and how they have improved financially with job stability. People who are currently on Chapter 7 Bankruptcy cannot apply for FHA-insured loans. The minimum period you have to wait after the date of discharge of the Chapter 7 or 13 Bankruptcy can vary from lender to lender, but is generally 24-48 months. You will be required to make your case that you are able to qualify financially with improving credit and job stability. Remember that the mortgage company will have a thorough look at your credit history. So if your credit history is filled with late payments rather than a few isolated cases, your chances of getting favorable terms will be limited, and so will your eligibility for most loans. But if you have been able to maintain good payments after financial difficulties then you can qualify for FHA loans. Home buyers that want to learn more can call us at ph: 800-743-7556 – for a fast response just submit the info request form on this page.